Camp Heartland (now One Heartland) founder Neil Willenson is a hero in the HIV/AIDS community because has helped thousands of children with HIV both forget about their status and learn how to accept it. By starting a summer for HIV positive children back in 1993, Neil has helped create a safe haven that has undoubtedly changed so many young lives for the better. A few years ago, I had a teenage friend who went to Camp Heartland, and he came back with lots of new friends and the feeling that he wasn’t the only teenager dealing with HIV. Now, he’s in a loving relationship and is forging his life as an adult with HIV; I’m certain his visit to camp played a hand in guiding this journey to acceptance. After 17 years with the camp, and one year shy of his 40th birthday, Neil is taking on new professional challenges as Vice President of Community Relations for Kapco, Inc., where his years of expertise with One Heartland will undoubtedly be put to good use. He’s keeping his beloved Heartland well within reach as well, continuing to fund raise and stay involved with One Heartland in his new role as Founder Ambassador. There’s a great article about Neil’s work in founding One Heartland, which you can read here. (Thanks to Bob Bowers for bringing this to my attention on twitter.) 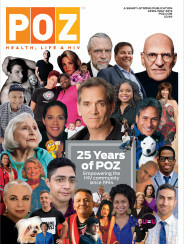 I just wanted to give a shout out to someone who saw how hard it was for kids with HIV to deal with discrimination, and changed his own life’s course to make a better pathway for those who needed the helping hand. Thanks so much, Neil, and the best of luck in all of your future endeavors!